From the very first day of my involvement within the eCommerce world, the holy grail of selling online included offering product on multiple venues yet managing that inventory from one central location or software package. Personally I have worked towards that goal for several years, working with developers and designers who had greater resources than my own and trying to convince them of the need for an entry level multi- channel solution. It's always nice to know you had the right idea all along, even if someone else implements it before you do. Vendio doesn’t even require a credit card to sign up for the Platform. Fast and easy setup: Be up and running in minutes. Create your items and store without any development work or technical knowledge. Customized look-and-feel: Customize your store with your logo, custom categories, featured items, external links and more. You have complete control when you use our easy-to-use Store Builder to see exactly how your store will look as you build it. Professional designs: Dozens of free templates to choose from to make your store stand out. Simplified sales: All customers, items, and orders managed from one location. No need to worry about tracking transactions across different channels - it's all in one spot. SEO & Analytics: Add meta keywords and descriptions quickly and easily in order to help buyers find your store via search engines. Google Analytics integration assists you in monitoring and understanding your store traffic. Custom URL: Get a free Vendio domain or create your own custom domain name to keep your brand intact. Item Search: Buyers can search both your item titles and descriptions. Widget: Promote items anywhere online such as your website or blog with a cool widget that shows off your items. Again, Vendio offers all these store features as well as the sales management, for free. Just because the Vendio store is free, doesn’t mean that it’s subpar to existing paid store offerings on the market such a Pro Store or a Yahoo Store. Here is a helpful feature matrix that differentiates the Vendio store from just some of its competitors. What’s most unique and powerful about the Vendio Platform is that all items uploaded into the Platform are automatically placed in the store, immediately available for sale. If a merchant wants to reach more buyers in places where they shop, such as eBay, Amazon or Google, then they can easily extend the Platform to multiple marketplaces for a small monthly fee plus percentage of sales. Extending the Platform means that the merchant uses just one set of inventory details for as many marketplaces as they’d like to sell on – all managed from one, single interface. This results in countless saved hours and inventory management control mix-ups. For merchants who are interested in extending the Vendio Platform to marketplaces, Vendio is currently offering a 60 Day Trial. Along with the trial comes a great bonus – Vendio is waiving its Amazon fees for the rest of 2009. Vendio has a long history as a third party software and applications developer and is a familiar company to eBay sellers. The work that has obviously gone into this multi-channel solution is very apparent and indicates a long standing understanding about how merchants, especially eBay merchants, work to get product online. The Vendio platform may indeed be the light at the end of a long tunnel for many eBay merchants, especially if they have not yet expanded beyond eBay to sell on other channels or on their own web store. If you are an experienced eBay seller, this Vendio Platform solution will give you the confidence to go forth and find new markets, to boldly go into the ecommerce world - feet first, while knowing that you will have familiar surroundings and procedures available at all times. No need to leave the comfortable blanket that is eBay or the traffic the megasite produces, yet with the Vendio Platform tools, new markets await that may help you to see beyond the eBay safety net. 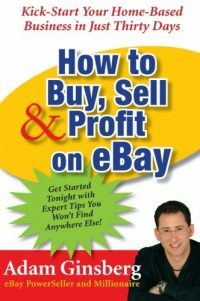 Expanding into multi-channel ecommerce is the next logical step for any eBay merchant. The software has been extremely well thought out, it is apparent that years of development work went into this package. And the prior experience with an eBay focused offering shows through here. 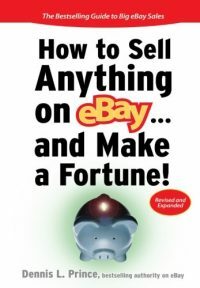 Importing existing eBay listings is an easy proceedure and once complete all can be converted to free web store listings. The control panel is well laid out and the instructions are comprehensive as can be seen by reviewing this extensive create listings PDF found in the help section. Or you can read it here before you sign up for your free account. While the platform has had a great deal of sweat equity poured into it prior to launch in March of 2009, this does not mean that the new platform is completely finished. One example of need for improvement comes when users begin to list a new item. The list new item screen (which is a one page piece of organized well thought out web engineering) unfortunately does not have an integrated image upload function. A user must first go to Images -> upload images and then create a folder to then upload images one at a time to the site. Then come back to create a new item and choose the folder where the images reside to include those images in a new listing. Obviously this process needs to be refined to allow for a faster method of uploading image files directly from the listing form. I contacted my Vendio contacts about this issue to find out if there were any way to speed up the process? I had an answer back within 1/2 hour - the entire image upload process is being re-worked and should be complete in a few weeks. It seems that not only does this company listen to their users, but they also act on the needs of the users to improve the product. Overall Impression: I say give Vendio a try, the ecommerce webstore is free forever and with an eBay import you can easily see how the system works for you. Having the ability to test products and control inventory on Amazon and eBay as well as in other search driven marketing and a stand alone ecommerce store from one control panel is the ideal solution that I have been looking for ages. 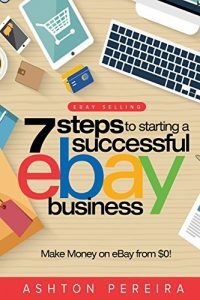 Vendio as a company has been working with eBay sellers for a long time and they know the business. One does need to keep in mind that optional features incur monthly charges but the base online webstore is completely free. Why not give it a test drive? Additional Tid Bit: One feature that Vendio does not tout regarding this free hosted webstore that I find most intriguing is that the eCommerce webstore package can be added to any existing domain. In other words if you have a business with an existing brochure style website and you would like to add an ecommerce shopping cart to that site without all the expense or hassel of starting over from scratch, give Vendio a hard look. By following a few simple instructions and simply creating a folder on your server with a single FTP upload a small piece of code your website can almost instantly become and eCommerce website. http://mywebsite.com becomes http://mywebsite.com/store with a fully functional ecommerce shopping cart that is secure and can accept multiple forms of payment. How cool is that? And it is Free! Hey, just to get the review started… I think this was a pretty good informational article… But can I say that? I wrote it for heaven sakes!